Gorgeous Captivate plan with attached casita. From the moment you step in side, it looks and feels like a model home. You'll find warm and neutral colors that accent the custom tile work throughout the home. Beautiful kitchen with oversized island, upgraded alder cabinets and stainless-steel appliances. The great room is spacious and ideal for entertaining family and friends. Step out back past the rolling wall of glass and you'll fall in love this this backyard. Upgraded stone pavers expand off the patio. Enjoy dinner al fresco under the pergola. The home is situated on an oversized corner homesite and offers a front courtyard too that is the perfect place to enjoy your morning coffee. 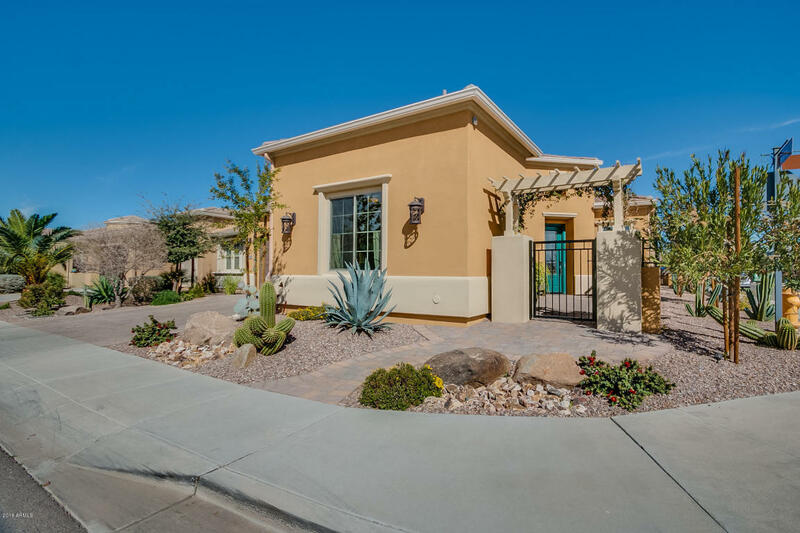 Come see this home today and start enjoying the Encanterra lifestyle you deserve!